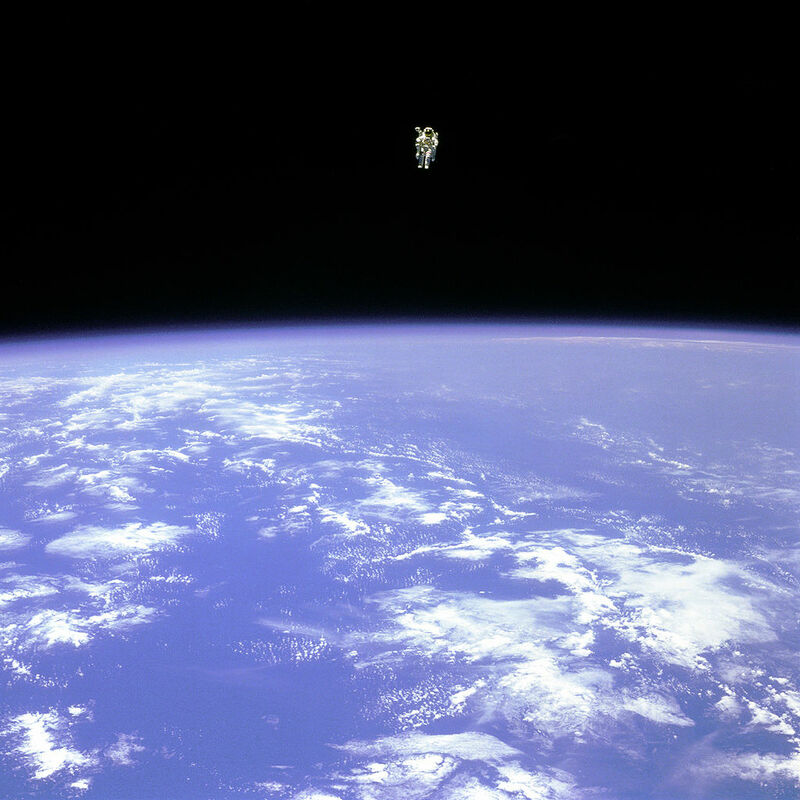 7 February 1984: During mission STS-41-B, NASA astronauts Captain Bruce McCandless II, United States Navy, and Colonel Robert L. Stewart, United States Air Force, left the Space Shuttle Challenger (OV-099) on the first untethered space walk. 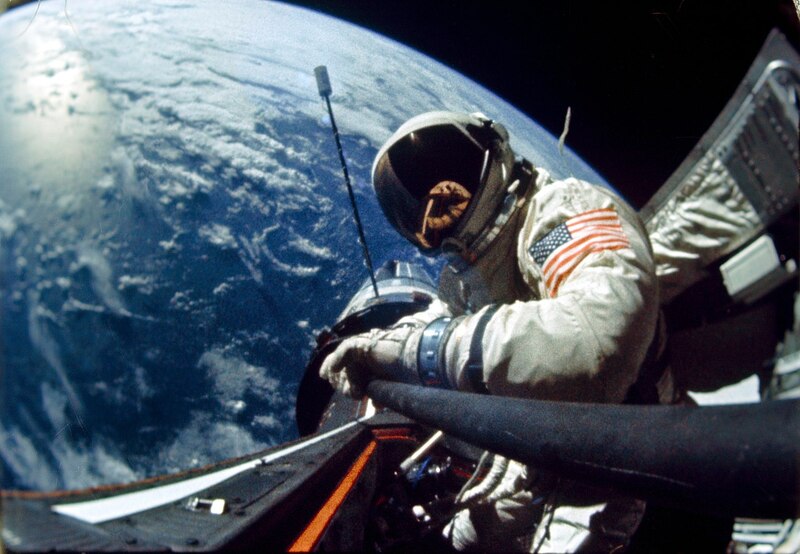 McCandless tested each of the Manned Maneuverung Units (MMU) while Stewart tested a work station. 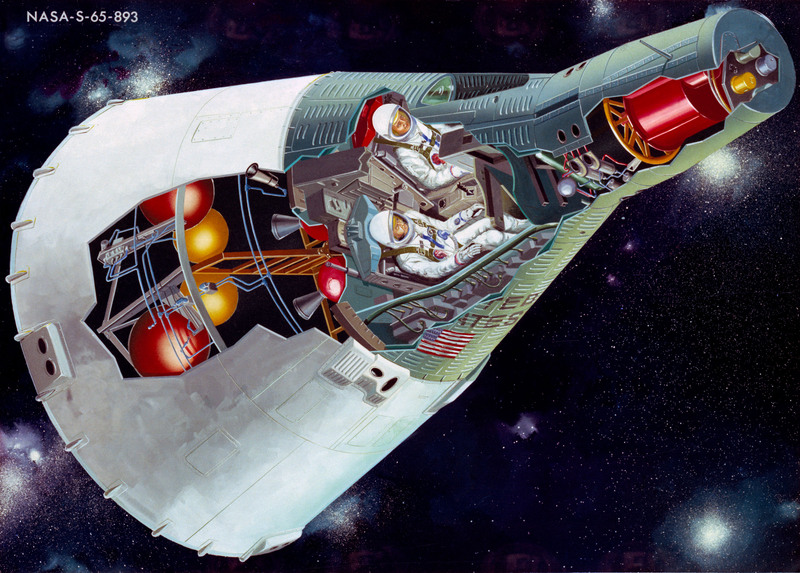 For 5 hours, 55 minutes, they used the nitrogen-fueled Manned Maneuvering Units (MMU) to move about the outside of the space ship. 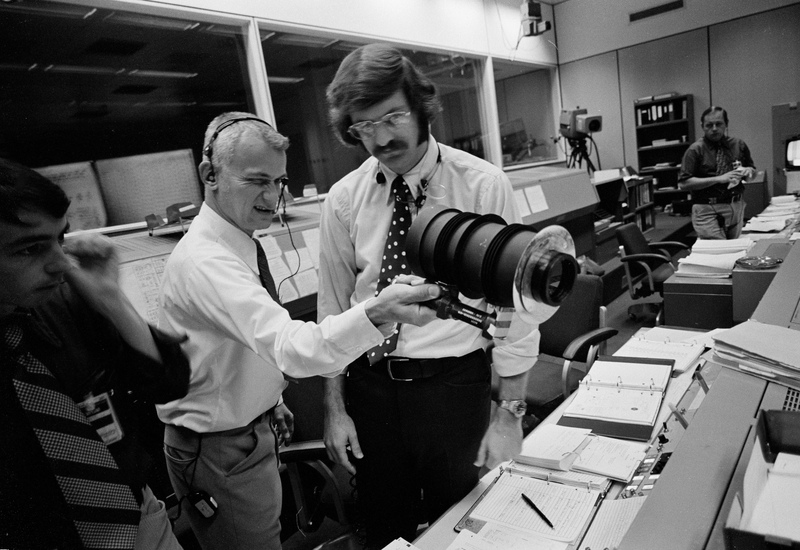 At the farthest, McCandless was 320 feet (98 meters) away from Challenger. Manned Maneuvering Unit #3 in the collection of the National Air and Space Museum. 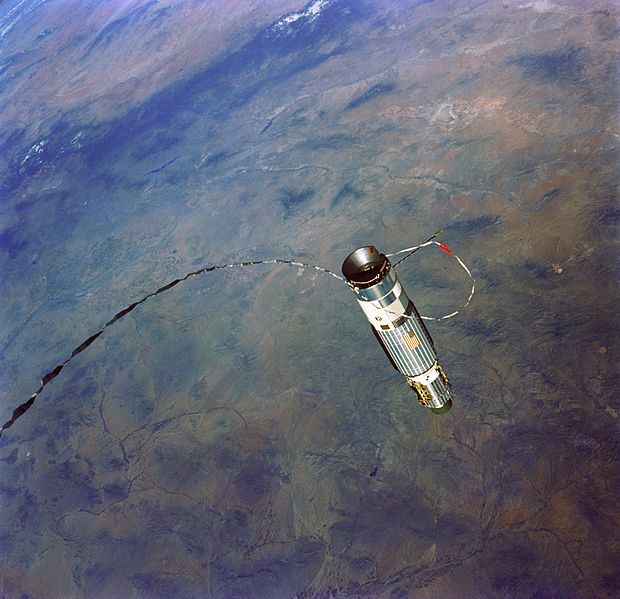 The Manned Maneuvering Unit was designed and built by Martin Marietta Corporation (now, Lockheed Martin). It is constructed primarily of aluminum. The MMU is powered by two batteries with 852 watts at full charge, and propelled by 24 gaseous nitrogen thrusters, providing 1.4 pounds of thrust (6.2 newtons), each. The astronaut controls the MMU with two hand controllers. It has six-axis motion and automatic attitude hold. 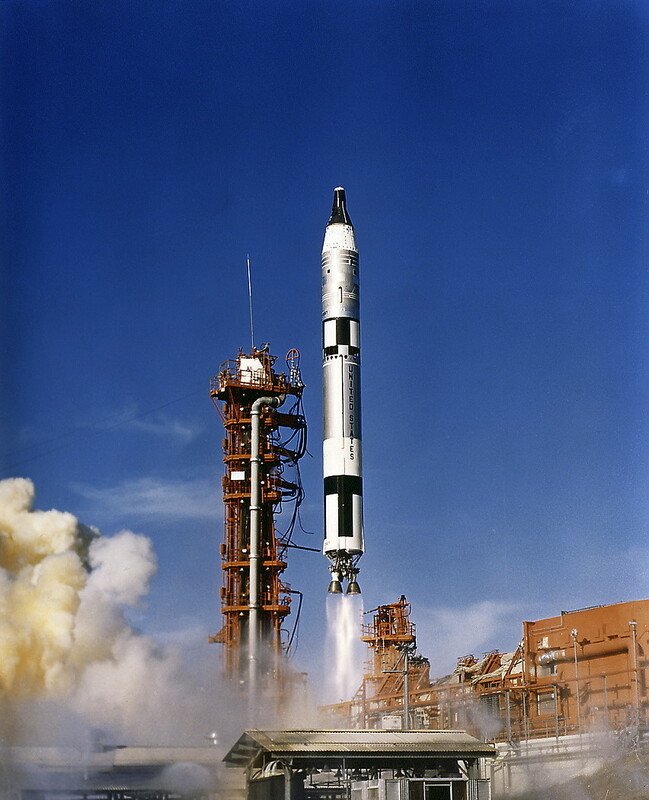 Including a full supply of nitrogen, the MMU weighs approximately 338 pounds (153.3 kilograms). It is designed for a maximum of 6 hours of operation. 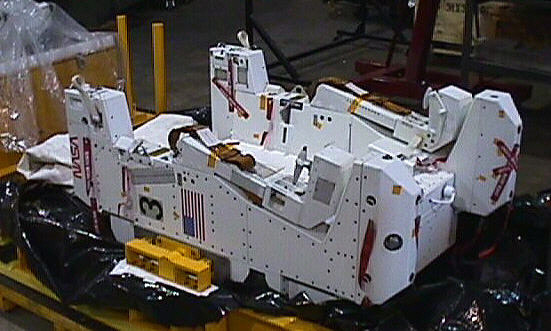 The unit is 50.0 inches (127.0 centimeters) high, 33.3 inches (84.6 centimeters) wide and with control arms extended, has a maximum depth of 48.0 inches (121.9 centimeters). 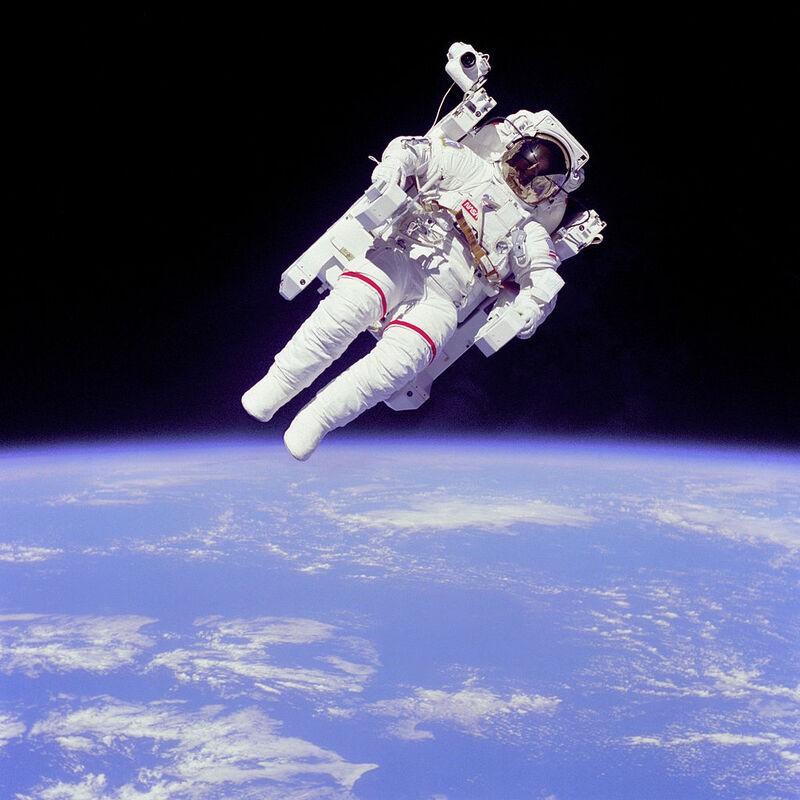 Bruce McCandless II was born 8 June 1937 at Boston, Massachusetts. He was the son of Rear Admiral Bruce McCandless, United States Navy, who was awarded the Medal of Honor for his actions aboard USS San Francisco (CA-38) at the Naval Battle of Guadalcanal, 12–13 November 1942, and grandson of Commodore Byron McCandless. His mother was Sue Worthington Bradley McCandless. McCandless graduated from Woodrow Wilson High School, Long Beach, California, in 1954. 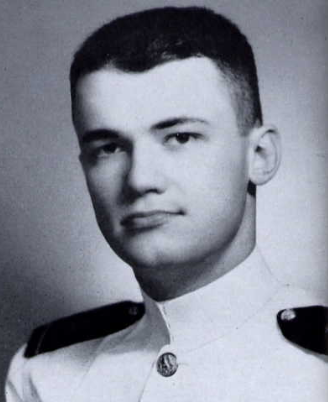 As the son of a Medal of Honor awardee, he was qualified for an automatic appointment as a midshipman at the United States Naval Academy, Annapolis, Maryland. He entered the Academy as a member of the Class of 1958. He stood first in his class in his Plebe year. He studied electronics, and photography, and was a member of the Academy’s sailing team. Aboard Royano, he competed in the annual Newport to Bermuda race. Lieutenant (j.g.) McCandless married Miss Bernice Doyle, 6 August 1960, at the U.S. Naval Academy Chapel. They would have two children, Bruce McCandless III and Tracy McCandless. She died in 2014. They had been married for 53 years. Lieutenant (j.g.) 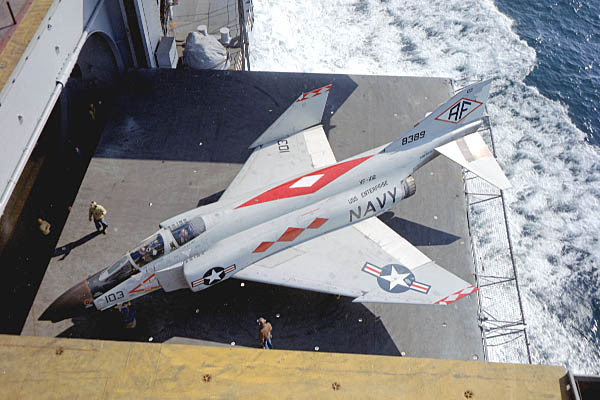 McCandless flew the Douglas F4D-1 Skyray (F-6A after 1962) and the McDonnell F-4B Phantom II with Fighter Squadron 102 (VF-102, “Diamondbacks”), serving aboard the supercarrier USS Forrestal (CV-59), and then the nuclear-powered aircraft carrier USS Enterprise (CVN-65). On 1 June 1962 McCandless was promoted to lieutenant. 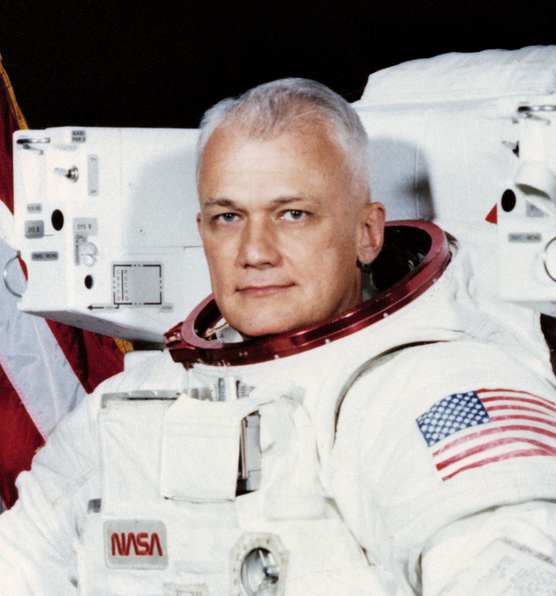 Lieutenant Bruce McCandless II was accepted into the NASA’s Astronaut Group 5 astronaut, 4 April 1966, and assigned to the Apollo Program. 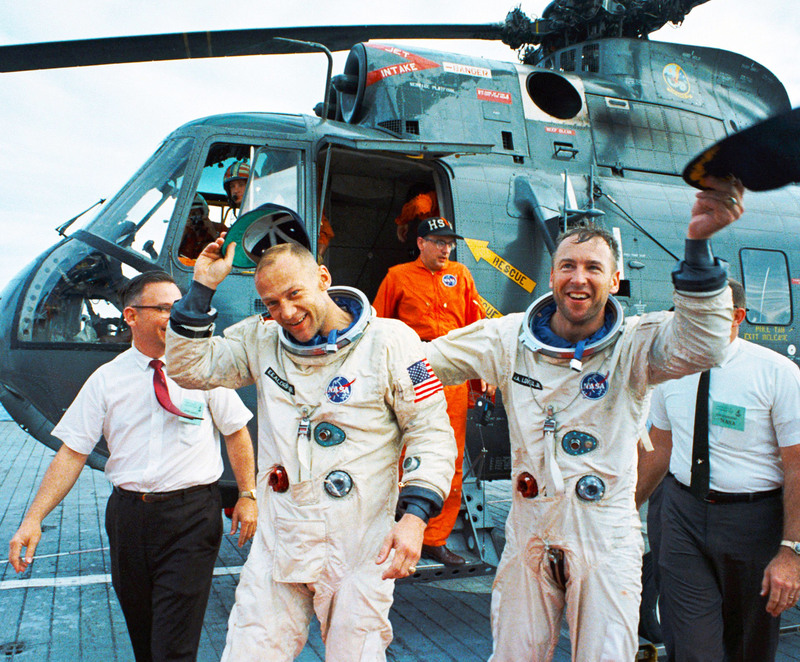 He was promoted to lieutenant commander, 1 November 1966 He served a Mission Control communicator to Apollo 11 during the first Moon Walk, 21 July 1969. McCandless was promoted to commander, 1 November 1972. 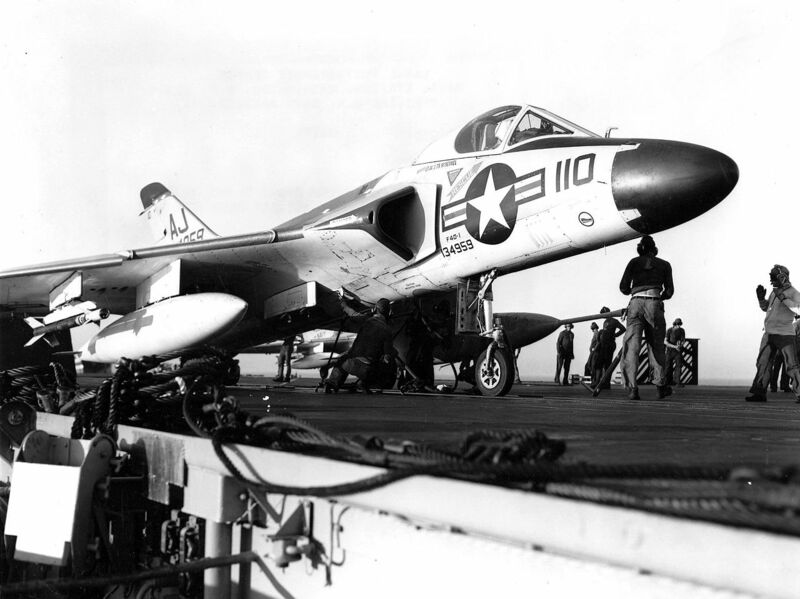 On 1 October 1979, he advanced to the rank of Captain, United States Navy. 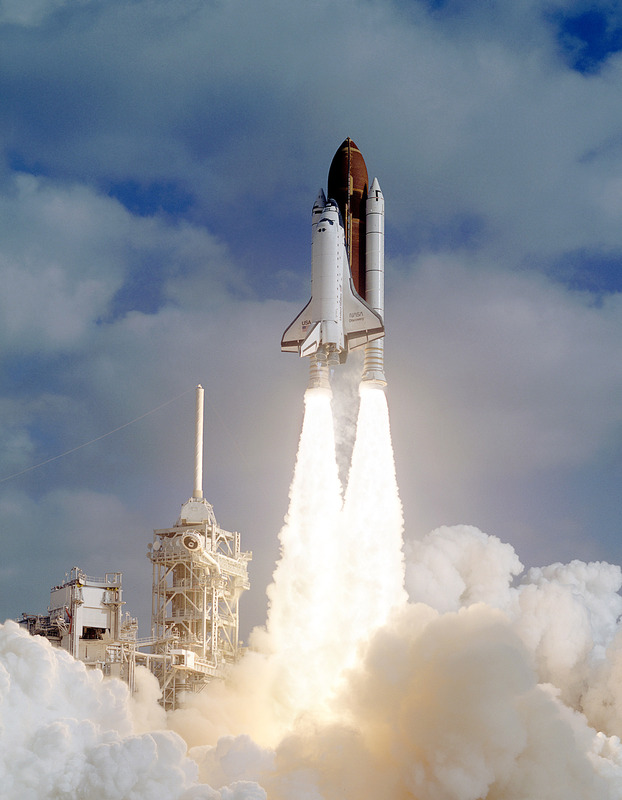 Captain McCandless did not fly until the space shuttle became operational. 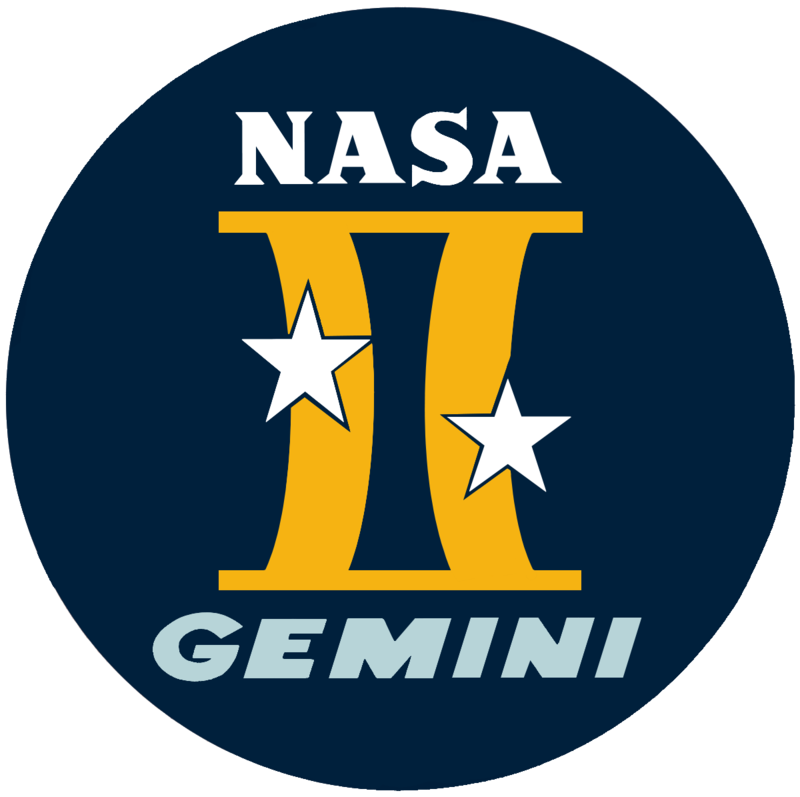 He served as a Mission Specialist aboard Challenger (STS-41-B) in 1984, and Discovery (STS-31) in 1990. Captain McCandless logged more than 5,200 hours of flight; 312 hours, 31 minutes, 1 second in space; and completed 208 orbits of the Earth. Captain Bruce McCandless II, United States Navy (Retired), NASA Astronaut, died 21 December 2017 at the age of 80 years. He is buried at the United States Naval Academy Cemetery, Annapolis, Maryland.